InSysPay is an advanced 4 + years payroll management software developed by Innova Systems. 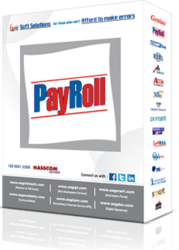 It is a web based payroll management solution designed for companies across all domains. It is a modern, delightful, and extremely easy to use employee payroll system that helps startups and SMEs streamline their HR & payroll processing system. We offer payroll software that fits the needs of accountants and small to medium size businesses. Our payroll software greatly reduces the time to prepare payroll, create forms and print checks. It automatically calculates net pay, federal withholding tax, Social Security tax, Medicare, state and local payroll taxes. Advanced Payroll HR Software Compatible with your Attendance Machine, Monthly Salary, Leave, Loan Advance, Profession Tax, Provident Fund, ESIC Etc. 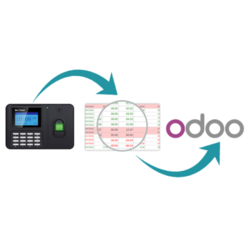 A powerful system with comprehensive pay processing with flexible daily/monthly attendance entry, leave calculations, user defined earnings/deductions, allowances, load & advances, TDS, ESI, PF, Pension calulations with flexible & user defined reporting. - Everything related to an employee like Salary, Leave, Loan, PF, ESI, Prof. Tax, Gratuity, Bonus, O.T., C-Off, Incentive, Advance, PF-ESI inspection details covered in the software. Norming Expense Management Software provides a powerful, flexible tool for streamlining employee expense allocation and reimbursement processes for a single entity or multiple entities. Business payroll can be a complicated process if you do it manually.